Ms. Murray began singing at age 5. She grew up in a very musical family where she listened to her parents sang to the tunes of Frank Sinatra and Nat King Cole. In high school, she was the vocalist for the school band where they played mostly at school events and functions. Around that time she was also learning how to play the guitar. 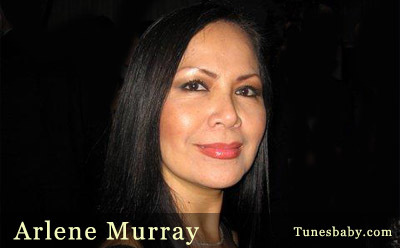 Arlene Murray went to the Conservatory of Music at University of Santo Tomas in Manila, Philippines where she majored in Voice. She was a vocalist in a seven-piece band called the Majestics where they played in nightclubs and supper clubs in Manila. She was part of the first batch of international singers to perform in Fukuoka City, Japan. She performed in hotel venues in the Southeast Asian Circuit such as Hong Kong, Singapore, Bangkok and Tokyo from 1976 through 1983. With Hong Kong as her home base, Arlene Murray was the resident artist at Hyatt Regency Hong Kong for seven years. She worked as singer, model and actress. She modeled for Alpha Romeo, Vidal Sassoon, Remy Martin, Matheus, Yves Saint Laurent, and Christian Dior to name a few. She appeared in MGM’s FORCED VENGEANCE directed by James Fargo, which starred Chuck Norris. In November of '83, Ms. Murray relocated to San Francisco, California and studied acting at American Conservatory Theater where her first job as an actor out of ACT landed her a role in a stage play written by established San Francisco playwright Jeannie Barroga. The play showcased her love for singing, acting and dancing. It also gave her the invitation to become a member of Actor's Equity Association. The launch of Tunesbaby.com is one of her latest projects in collaboration with her friend Jag. She believes in the artistry that independent artists possess in need of exposure, thus the birth of Tunesbaby Music Network. Ms. Murray is also a writer. Her passion for life is depicted in her songs and poetry.